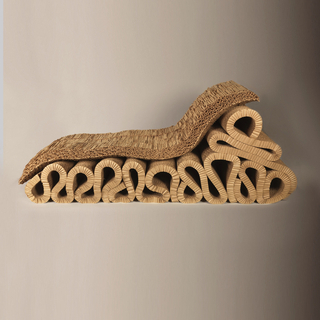 See more objects with the tag seating, curvilinear, chairs, wood, furniture makers, caning. This is a Rocking chair. 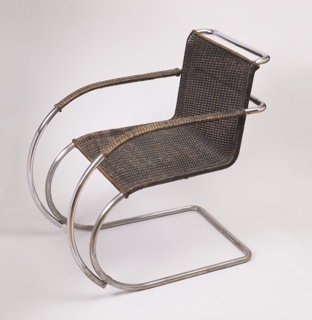 It was made by Gebrüder (Brothers) Thonet. It is dated ca. 1860 and we acquired it in 1969. Its medium is bent beechwood, woven caning. It is a part of the Product Design and Decorative Arts department. 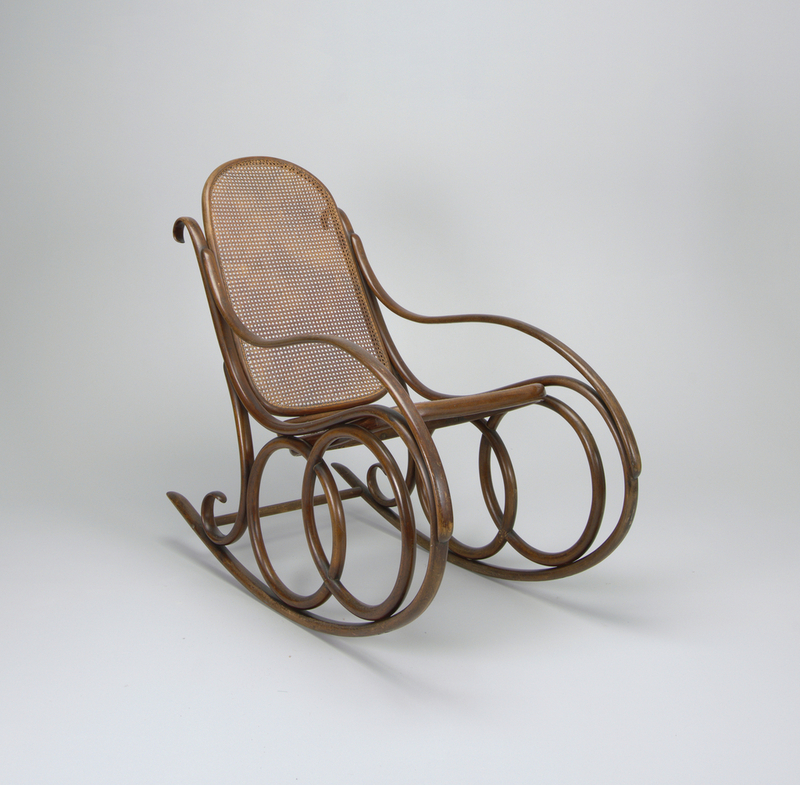 Founded in 1853, Thonet Brothers furniture, such as this rocking chair, demonstrates the capabilities of the new steam and lamination technologies in their arcing, curvilinear forms. Although delicate looking due to their slenderness, this chair’s runners offered a strong and decorative alternative to historicist cabriole legs, as they were joined with metal at connecting junctions for reinforcement. It is credited Museum purchase through gift of American Institute of Interior Designers. 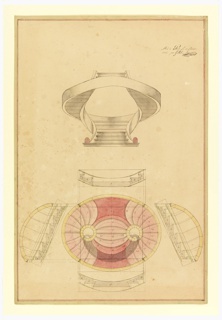 This object was previously on display as a part of the exhibitions	Rococo: The Continuing Curve 1730-2008 and Faster, Cheaper, Newer, More: The Revolutions of 1848.